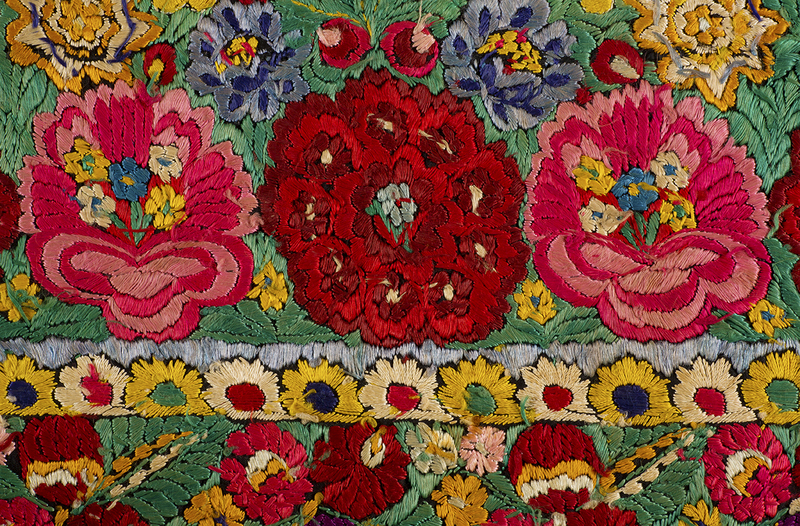 An English Garden band sampler – The Embroiderers' Guild, Queensland Inc. 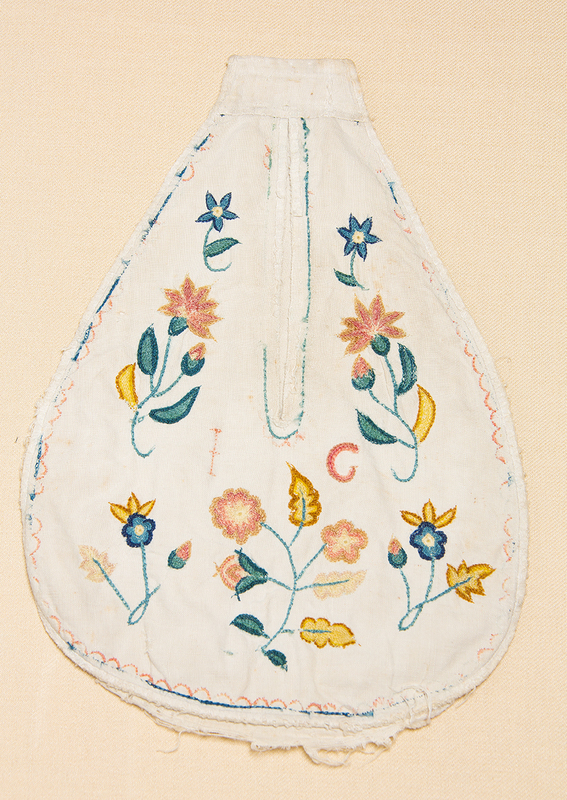 This class offers a unique opportunity to stitch a 17th Century-style sampler. 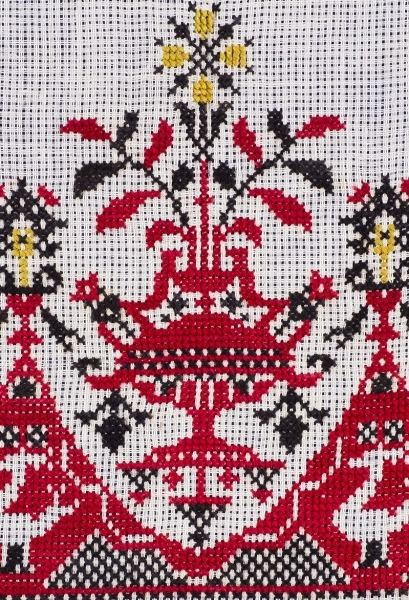 The 2018 class will start with Band pattern one – the first section of an English Garden band sampler that will be stitched at Guild classes in the next 2 years. Further bands will be taught at classes in 2019 and 2020. 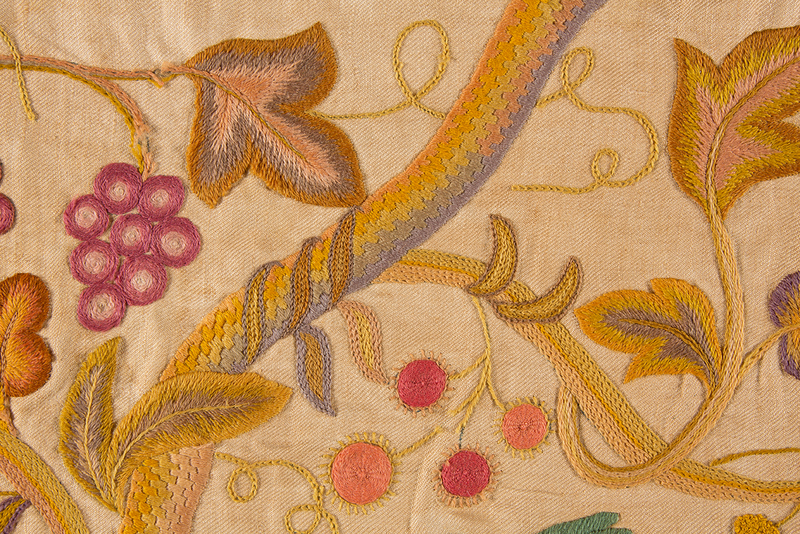 Band pattern one has variations of twisted arcade border enclosing a red rose, love-in-a-mist, flowers, heartsease or pansies and acorns, all stitched with silk and metal threads on 32 count linen. 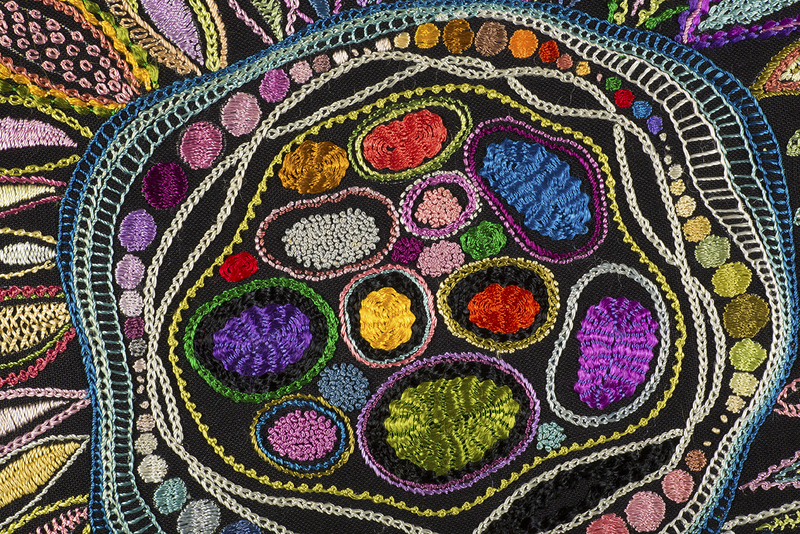 Dianne Fisher is a South Australian Guild member and one of their Curators. Dianne has a Fine Arts degree. 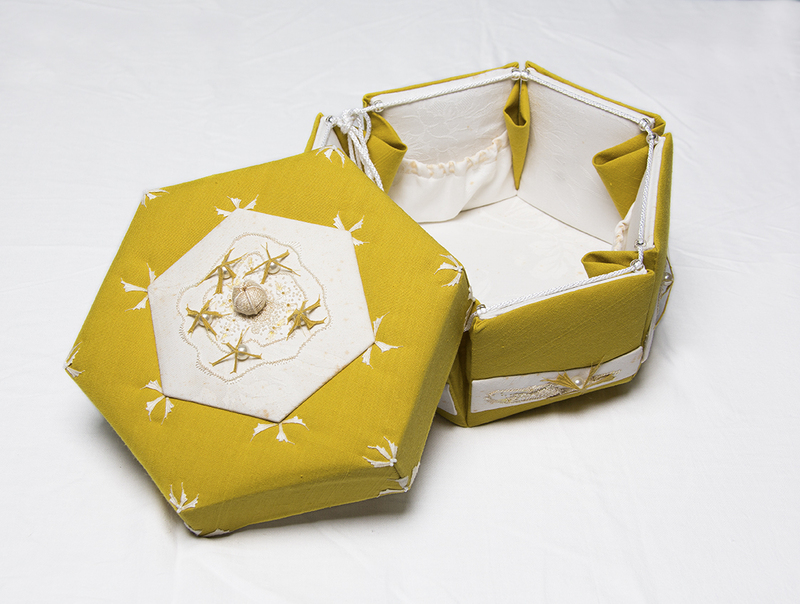 Students will be given the requirements list, with the required linen size, linen colour and gold thread to be purchased before the class. 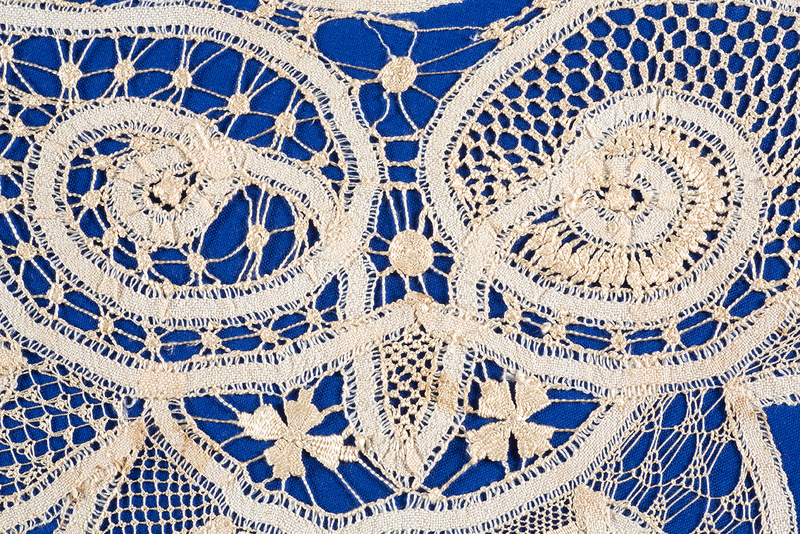 Details, (including patterns, how to frame up and some threads), will be given to the student to allow the pre-preparation. 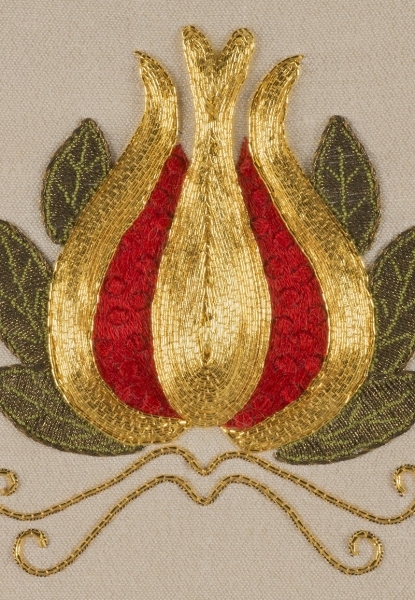 Pre-class preparation, with some outlines stitched and the linen placed on a frame, must be done ready before the commencement of the class. $105 (threads and notes) to be paid to the Tutor on the day of the class. Bookings are essential and the enrolment cut-off date is 8 September. Please complete the Class Registration Form. 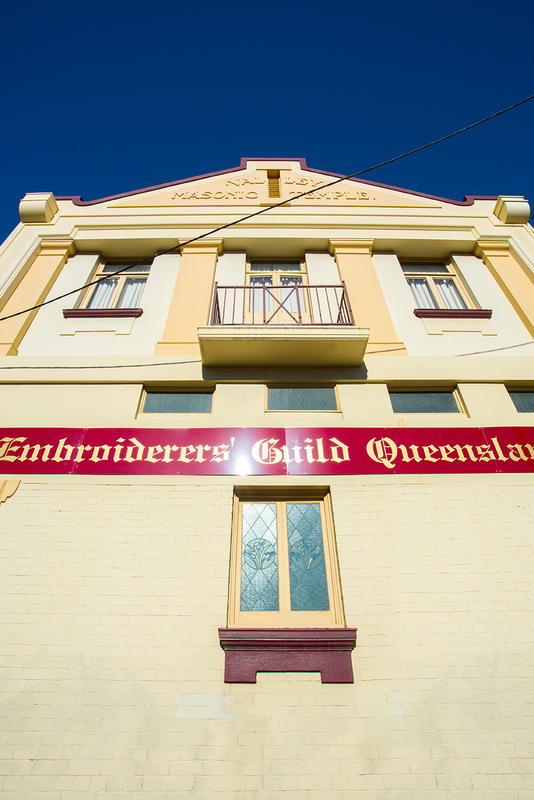 Contact the Class Registrar by emailing classes@embroiderersguildqld.org.au or phone 3252 8629.